The Chargers today rejected a developer’s proposal to build a $1 billion stadium as part of a redevelopment of the land surrounding Qualcomm Stadium, saying the project would be too enormous for the Mission Valley site. Hours before Perry Dealy publicly unveiled the project, attorney Mark Fabiani sent the developer a letter saying the team doesn’t think it has a realistic chance and asking him to stop referring to the Chargers in promoting the project. “We did it reluctantly,” Fabiani told The Associated Press. 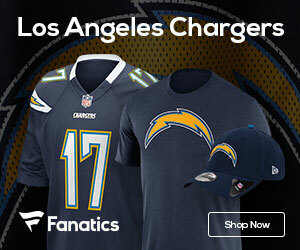 Southern California’s only NFL team has said since 2002 that it needs a new stadium to remain financially competitive with other franchises. Three years ago the Chargers gave up on their own plans for a stadium at the Qualcomm site, but Dealy crafted a new proposal anyway, despite Fabiani’s warning to him in January that the team spent several years and millions of dollars trying to make a project there work, said Fabiani, the team’s lead negotiator on the stadium issue. Dealy’s proposal, called The River Park at Mission Valley, would include a 70,000-seat stadium, 3.76 million square feet of office space in 11 buildings, a 16-story hotel, nearly 6,000 residential units, 500,000 square feet of retail space and 14,000 parking spaces. Fabiani said he was surprised Dealy went ahead with the news conference. The Chargers still hope to use a similar but smaller development, plus public land, as a way to build a stadium. Fabiani said the team believes such a project would require two parcels of land, one for the stadium and another for the commercial development to help pay for it.